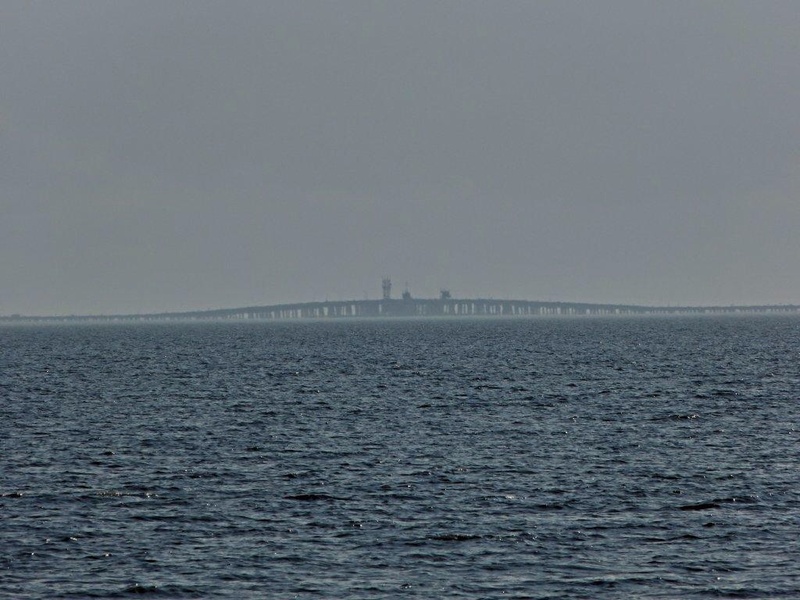 Lake Pontchartrain Causeway, shortcut to New Orleans! We spent two days at Fountainbleau State Park on Lake Pontchartrain and hiked the nature trails, visited the pier, and walked many of the bike/hike trails. We saw lots of cardinals, and several snakes even though the temperature never rose above 50 degrees. The park itself consists of 2,800 acres which were formerly part of Bernard de Marigny’s plantation and sugar mill. 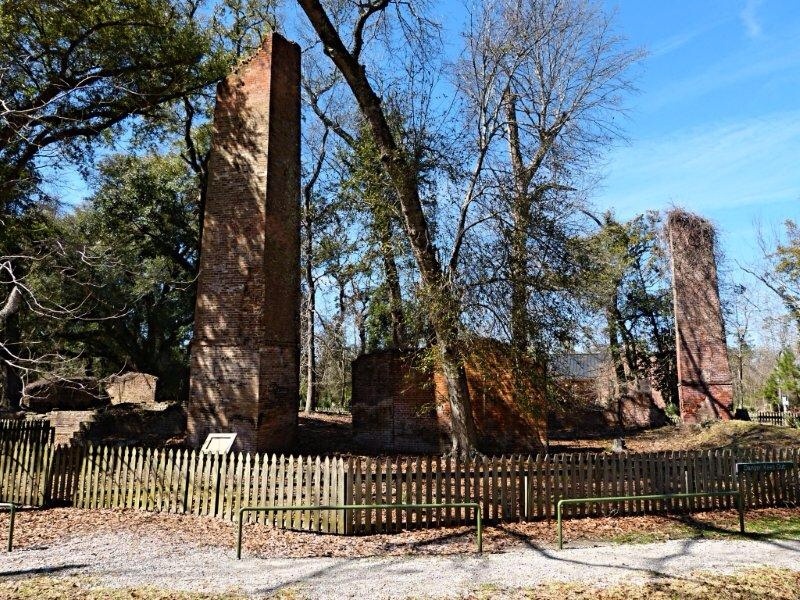 The remnants of the sugar mill are still standing. The park features a beach area on Lake Pontchartrain, picnic sites, lots of hiking and biking trails, and covered pavilions. The visitor center and main building by the beach are closed for renovations, but the park ranger is available at the gate house and is very helpful. For those interested in campground info, it cost $20 per night for the site with water and electric. Cell service is great, 22 TV stations were found when scanning. Bring your kayaks and bikes! 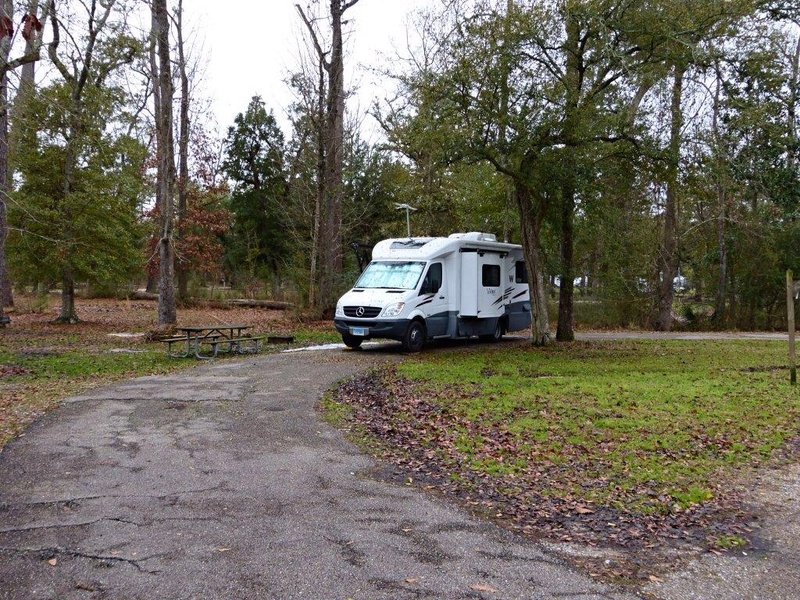 This entry was posted in Louisiana on March 5, 2014 by Ramblin' Rose. I could do without the snakes!!!! !